There are many different types of kayaks in the market. Sometimes it is tough to choose one when you have too many options available. To help you to narrow down your choices, we have listed the top 10 inflatable kayak models in 2019 by considering product quality, brand reputation, warranty, customer service, buyers’ review, specifications, and features. If you just entered to the kayak world and you are looking to buy your first kayak, then click the following to have an idea what type of kayak best meet your needs: Types of Kayak. If you want an inflatable kayak that can handle literally ANYTHING you throw at it – including Class IV whitewater rapids – you need look no further than this one. 300x Explorer™ is designed to tackle whitewater as well as open-water and surf. It has 16 super-fast self-bailing drain valves that can be left open for wet whitewater and ocean kayaking or closed for high and dry flat-water paddling. This model is 1 person inflatable kayak. There are other Explorer™ series models for 2 persons (380x Explorer™), and for 3 persons (420x Explorer™). 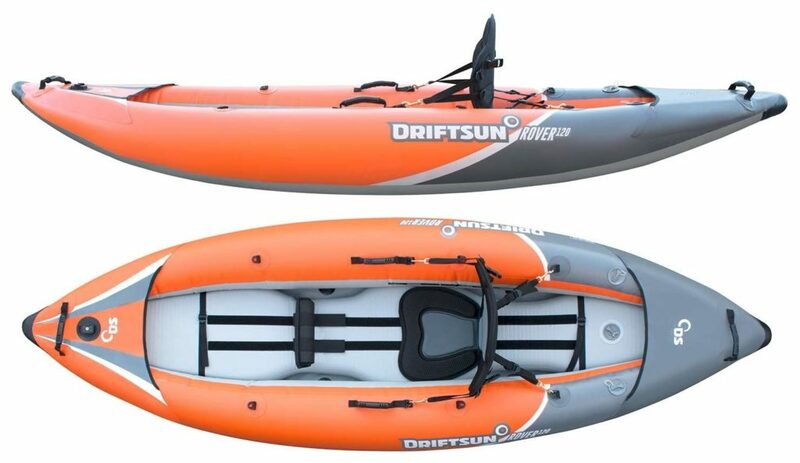 If you are looking for 2 person inflatable kayak for whitewater kayaking with lower price, No.7 Driftsun – Rover 220 is also recommended. Sea Eagle brand has great warranty and return policy that other brands don’t offer. They have 3 years warranty and 120 days risk-free period, so if you are not satisfied with your product, just return it in good condition for a full refund of your purchased price. 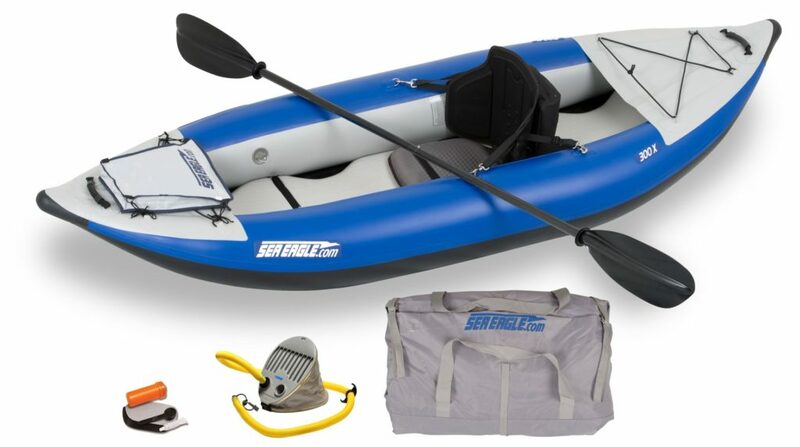 Sea Eagle is the only inflatable kayak brand offers risk-free period policy, so 300x Explorer™ is highly recommended especially when buying your first kayak. 350fx Fishing Explorer™ model is one of the Explorer™ series, so you can use this kayak from any type of water like No.1 300x Explorer™ model. Perhaps the most impressive of all the inflatable “solo” kayaks on the market today designed specifically for fishing, this kayak from Sea Eagle measures in at just about 11’6” and weighs only 51 pounds. Six built-in rod holders, 2000 The near reinforced protective layers, both forward and aft spray skirts, and a whole lot more make this the kind of inflatable kayak you can feel comfortable using in almost any type of water imaginable. Essentially the “big brother” to the inflatable kayak and the folks at Sea Eagle we highlighted above, this model is a tandem setup that can accommodate up to three people with a maximum capacity of 635 pounds. It’s a little bit longer at 12’6” but has a lower weight rating at just 45 pounds. Inflation and deflation time are identical to the model we highlighted above (seven minutes and three minutes, respectively), the extra recessed one-way air valve helps manage things quite a bit. For this model, you can also install an electric motor which costs around $300 (Motor, Motormount). This 385fta model is highly recommended if you use kayak mainly for fishing. 393rl RazorLite™ is very light, narrow, and fast. So if you want to enjoy the speed, this model is highly recommended. It goes up to 6 mph. It is fully constructed using Drop Stitch Technology. Drop Stitch material uses thousands of high tensile strength threads connecting the top and bottom fabric layers. This enables the RazorLite™ to be inflated to a much higher pressure (10 psi) than other kayaks (3-4 psi) which increases overall rigidity. If you do some research, you may know that an inflatable kayak with 10 psi is rare. It is also easy to paddle and maneuver through the pounding rain and wind. RazorLite™ is not as stable as the FastTrack (No.3), but it’s faster. Also it tracks and handles similar to a long hard shell kayak and best suited for flat water. 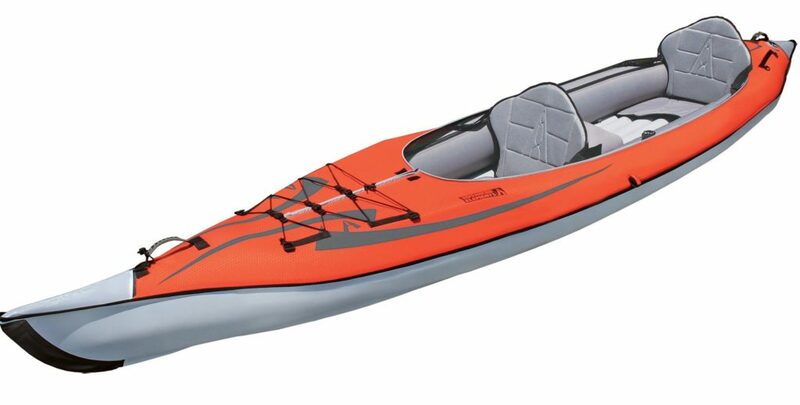 If you are looking for tandem kayak with this model, you can see No.5 473rl RazorLite™ from Top 10 Tandem Kayaks (2019 Review). If you are interested in this kayak, see No.6 435ps Paddleski™ from Top 10 Tandem Kayaks (2019 Review). SE 370 model has very good price. So if your budget is under 500 dollars, this model is highly recommended. There are very inexpensive models you can find on Amazon such as Intex Challenger K1 (single kayak) and Intex Explorer K2 (tandem kayak). If you aren’t buying a kayak to use it just for few times, investing little bit more would be better for long run. With a lightweight design and efficient hull shape, it is swift paddling kayak and easy to handle for young or old alike. However, this kayak is not recommended for fishing and whitewater kayaking because it doesn’t have enough stability and enough self-bailing drain valves. Sea Eagle says that the person capacity for SE370 is 3 persons and it has about 1.3 ft longer length than 2 person model, SE330. However, SE370 model is recommended for two adults. You probably won’t be able to find a better inflatable kayak under $500 than this one. If you are interested in this kayak, see No.8 Rover 220 from Top 10 Tandem Kayaks (2019 Review). Rover 120 is just single kayak model of Rover 220 and all the features are exactly same. The whole setup inflates inside of six minutes, and because it measures in at just 8’5” long you will be able to pilot it in water that longer kayaks simply wouldn’t have been able to approach. This model is comparable to the Sea Eagle 300x Explorer model. When Rover 120 is compared to the No.1 Sea Eagle 300x Explorer model, Rover 120 is $250 cheaper and its weight is 9 lb lighter. However, Sea Eagle 380x has 95 lb higher weight capacity and 9 more Self-bailing Drain Valves. Number of self-bailing drain valves will make big difference especially when you are on rough whitewater. Rover 120 has 1.3 ft shorter length. Voyager is a 2 person inflatable kayak, and you can also choose to paddle solo. This lightweight design makes it easy to handle by one person and it inflates less than 5 minutes with the hand pump. The hand pump is included with the kayak. Lightweight, compact, and a real screamer over flat water, this kayak does take advantage of thinner and lighter weight inflatable materials which means you aren’t going to want to bring it on rough waters. It certainly doesn’t belong on white-water, that’s for sure. If Drifsun offers same 120 days risk free period policy and 3 years warranty like Sea Eagle offers, Driftsun Voyager would be better choice when it is compared to No.6 SE370. 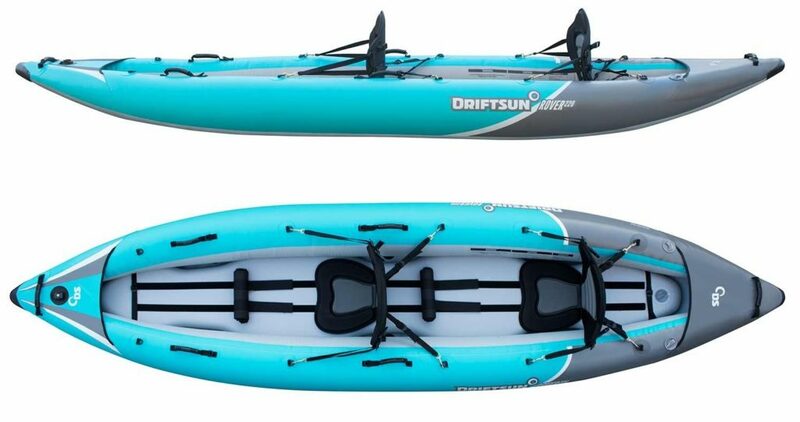 If you are interested in this kayak, see No.10 Advanced Frame Convertible from Top 10 Tandem Kayaks (2019 Review). Are you planning to buy a kayak? To choose the best kayak that meets your needs, you first have to know what types of kayaks are out there in the market. First thing you need to decide when buying a kayak is whether you buy an inflatable kayak or a hard shell kayak. Both of them have pros and cons. If roof rail is already installed on your car, then you need to buy crossbar racks and j-shape racks. It will cost you around $300-400. There are cheap racks at Walmart and Amazon, but it is not a good idea to go with cheap ones especially when it can possibly take away someone’s life while you are driving with kayaks on your roof. Here are racks you can have a look: Roof Rack and J-shape Rack. If roof rail is not installed on your car, you first need to install the roof rail. It costs around $300 to install the roof rail for 2018 Honda CR-V. There are some crossbar rack products which do not require the roof rail. However, it is very difficult to load your kayak by yourself without the roof rail. It can damage your car and you don’t want that especially when you recently bought your car or when it is on lease. The following video shows the importance of the roof rail. For sports trailer, the price range is around $1000-$3600. 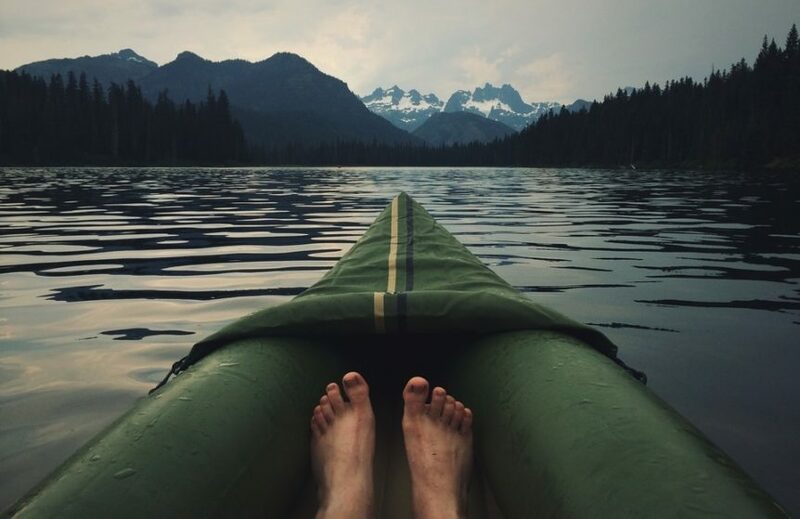 If you do not have trailer, roof rails, or other carrier tools yet, we recommend you buying inflatable kayak and spend more money onto the kayak itself. Because you get better quality of kayaks based on what you pay for. If you have no problem with carrying hard shell kayak, I recommend you to go to nearest kayak shop or Walmart and see actual size of the kayak you want to buy, especially when it’s your first time buying kayak. Because kayaks are way bigger than you probably thought. Hard shell kayak with length of 8.8 ft can just fit inside the car (2017-18 Honda CR-V) with no other passengers seated. Before buying a hard shell kayak, make sure you have a place to store your kayak. It is better to store inside of your house than outside or garage. The following table summarizes pros and cons for inflatable kayak and hard shell kayak. Single kayak is 1 person kayak and tandem kayak is 2 person kayak. If you are thinking to buy tandem kayak just in case you may go out to the water with your friend or family once a while, do not buy tandem kayak. Even though there are some tandem kayaks that you can adjust seat when riding alone, single kayak performs best for 1 person and tandem kayak performs best for 2 people. If you are planning to go kayaking with your child or dog, tandem kayak would be great choice. If that is not the case, single kayak is highly recommended. When you go out to the water, you will see many couples kayaking separately with single kayaks. There are two different seat styles for kayak: sit-on-top and sit-in. If you are using kayak for fishing or diving, stability is the important thing to consider. Some sit-on-top kayaks are stable enough to stand up on the kayak. Also it is easy to load your gears for other activities. If you are not going to fish on kayak, want to enjoy the speed, and paddle for long distance, sit-in kayak is good choice for you. Many people buy kayaks for fishing activity because shore fishing is very limited and it gets bored at some point. If you are looking to buy a kayak for fishing, fishing kayak would be good choice for you even though it costs more than regular kayak. 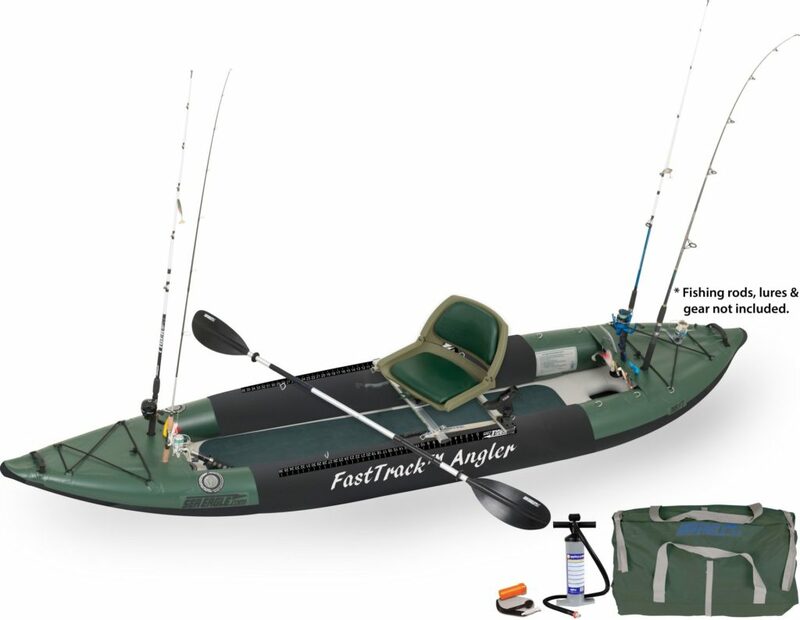 Fishing kayaks have better seat options, fishing rod holder installed, and lots of large storage areas for your fishing gears and tools. There are few people buying regular kayak and install fishing rod holder, mounts for action camera by themselves after watching videos from Youtube. It is not easy as you see on the video, so it can waste your money and it is very likely that you will not be satisfied with your work. 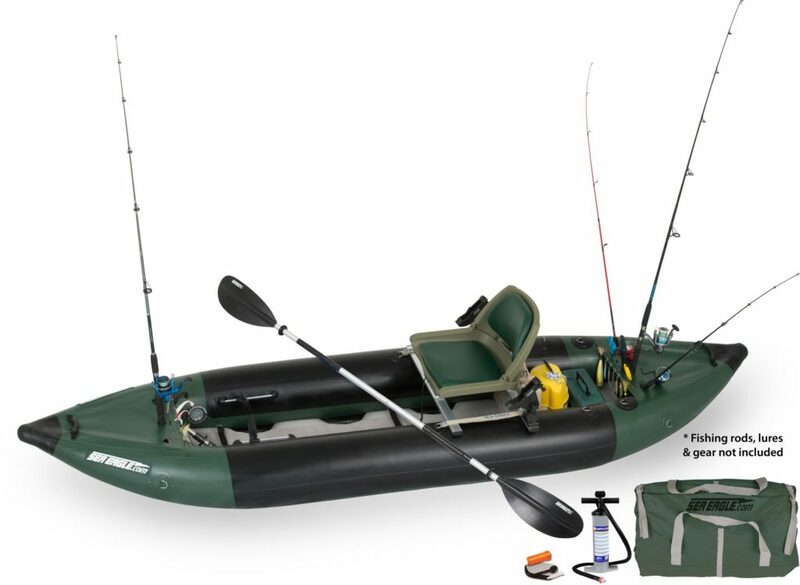 If you are thinking to buy a kayak for fishing, inflatable fishing boats can be a better option to meet your needs. Compare to fishing kayaks, it has spacious room which allows you to cast easily while having friends and family on the boat. Once you decide the type of kayak, you also have to pay attention to the specification and warranty when choosing a model. Load Capacity : Every kayak has its maximum load capacity. Think about your weight and gears you want to carry on the kayak. To be safe, you should not be close to the maximum. Seats : Adjustable and padded seats are highly recommended. It definitely cost more, but it is worth it. You don’t want to be uncomfortable when you are on the water to relax and have fun. Don’t try to save money on the seats by buying cheap ones. You will end up with paying more money on getting treatment for your back-pain. Storage area : It is good to have larger storage area but because of the load capacity sometimes you won’t be using all storage spaces. And as more you go out to the water, you become minimalist. So you will only take things that you must need. Deck hatch is useful to store your cell phone, ID card, or any valuable items you want to carry with you on kayak. Stability : Wider kayak has better stability, so fishing kayaks are wider than other regular kayaks. If you want to enjoy the speed with kayak, narrower and longer kayak is recommended. Durability : Most inflatable kayaks are made from PVC of 1100 denier. Denier is a measurement of thickness of the fibers. There are inflatable kayaks made from other materials than PVC, but it is more expensive and there are pros and cons. Inflation time: For inflatable kayaks, it takes about 7-10 minutes to inflate the kayak. It may take longer for 2-3 people size kayaks. Warranty: When you buy an inflatable kayak, warranty is the most important thing you need to consider. Sea Eagle is a well known brand for inflatable products and they have very good warranty and return policy. They offers 3 years warranty and 6 months risk free period. You’ll get to try it for 6 months and if you are not happy with your product, just return it in good condition for a full refund of your purchase price. There are other brands such as Innova, NRS and Advanced Elements, and they allow you to return it when products are unused and offers 1-3 years warranty. AIRE kayak has 10 years warranty, but their kayaks are way more expensive. Return to the top of the page: Top 10 Inflatable Kayaks in 2019. Canoe vs Kayak: Which is Better? Copyright © 2019 OSHAUN.COM. All rights reserved.